We recently came across a video (1) about a guy (named Eric) who successfully regrew new hair on his receding hairline, especially his temples (Go straight to the how-to recipe). 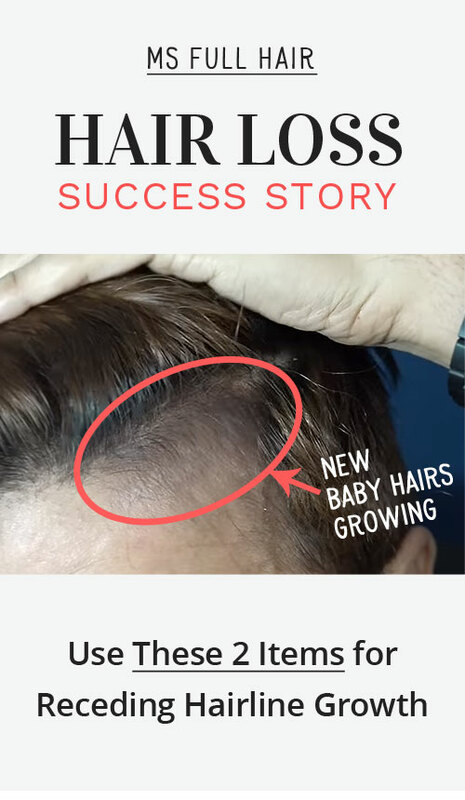 If you are looking for male or female receding hairline natural treatment due to thinning, you will find this hair loss success story very useful! Right below, you will have every detail that he used to stimulate hair growth, along with before and after photos. Just like anyone with hair loss concerns, Eric wasn’t very happy with his receding hairline (both a little on frontal area and a lot on the temples). After doing extensive research on natural ways to help grow hair back, he came across 2 simple items for his receding hairline treatment. 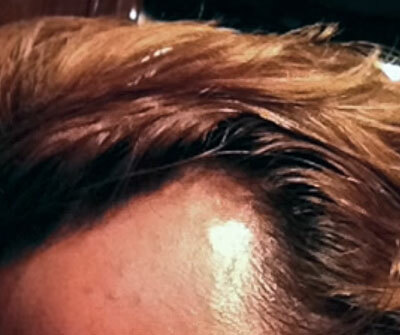 What are these 2 items that gave him visible new hair growth? Lavender oil and a derma roller. His before and after photos show significant improvements. You can clearly see new baby hairs growing along the receding hairline temples. The better news? It only took him 2 months to see results! Success Recipe – What did he do to regrow thinning hairline naturally? Here are specific details on what he did to reverse receding hairline natural way. Once a week (when he wasn’t derma rolling the thinning spot), he applied aloe vera (this is the brand he used) to moisturize and soothe the skin. He said this also helped him from any scarring issues. He says that once you see new hairs growing on the area, you have to be extra careful. Because the roller can accidentally pull your hair, he recommends to reduce the frequency of using the derma roller. He mentions that he actually didn’t believe it when he first started. But as soon as he saw ‘small hair growing next to hairline’, he kept going. Receding hairline is not a male-only problem. In fact, Female receding hairline temples are one of the big concerns for women as young as early 20s. 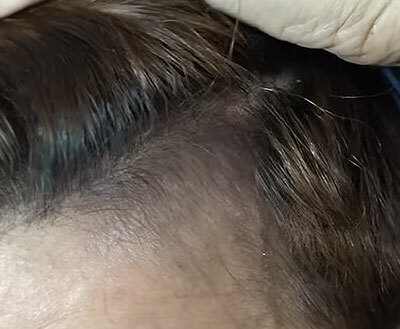 If you are having the same issue with hair thinning at temples or frontal area, try this natural treatment. BUT, to be on the safe side, we strongly suggest to dilute lavender essential oil with olive oil or jojoba oil (or use this 3 sampler set). When it comes to choosing a derma needle roller size, use 1.0mm, which has been the most popular option for the use of hair regrowth. Related Post: Toji Pure Density Vitamins Review – Does It Work for Hair Growth? Thank you for sharing! I will give it a try for my thinning spot.